Its not just a name, it’s a policy: LAMY vista is designed especially for those who value transparency. 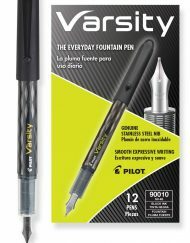 One of Lamy’s most successful models has been given a transparent body that enables users to see the “innards” at work. 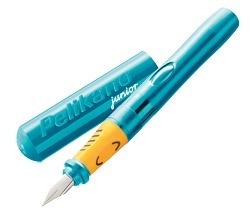 Made of clear non-fade plastic it has a chromium plated clip and bears the name Lamy in silver lettering. With LAMY ink cartridge T 10 (can be modified for use with converter Z 24). SKU: L12. 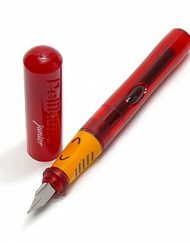 Categories: Lamy, Lamy Safari Fountain Pens. Tags: calligraphy pen, clear pen, fountain pen, L12, lamy, lamy calligraphy pen, Lamy Vista fountain pen, safari, transparent pen, vista pen.